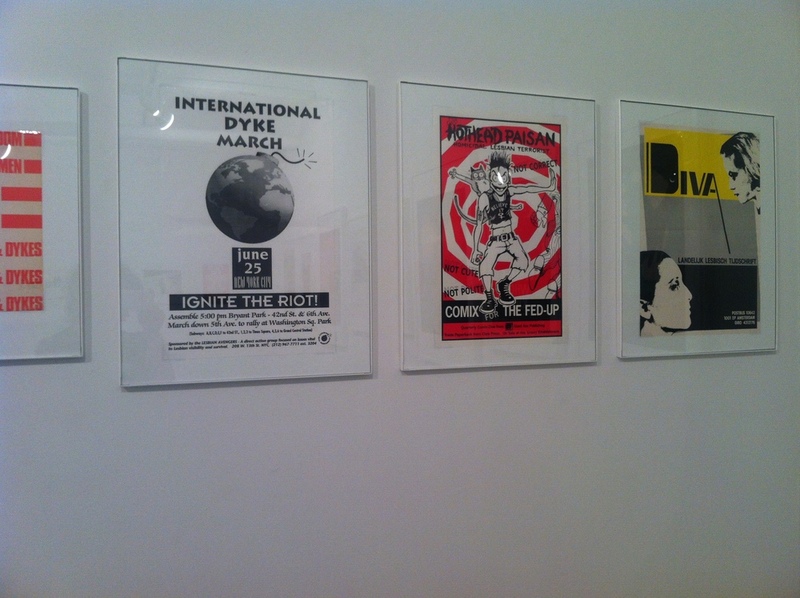 The Lesbian Herstory Archives' exhibit, Graphic Activism, features a selection of posters, newsletters, and zines from the largest collection of lesbian materials in the world. Beginning with the 1970's, and including contributions from the Archives' community of coordinators, volunteers and interns, Graphic Activism spans almost 50 years of lesbian activism. Comprised of posters from across the United States, this exhibit celebrates lesbian arts and artists, including Leslie Feinberg’s Passing Fancy: Passing Women in Their Own Words and Rivers of Honey, a NYC-based, Woman of Color Arts Cabaret, and addresses such topics as gay teen suicide and AIDS activism. 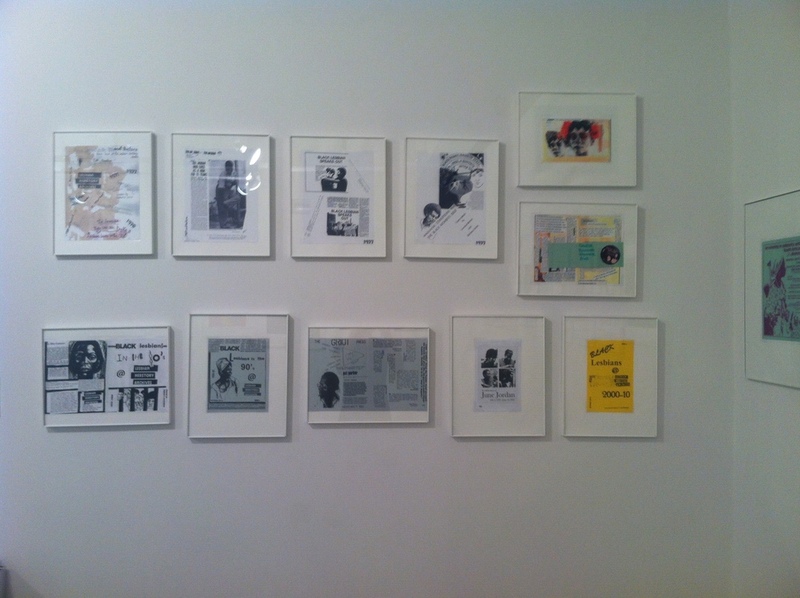 The 1970's screen prints of the Chicago-based Women's Graphic Collective proclaim "Sisterhood is Powerful" and imprint a call to "Spinsters Crones Hags Sisters," on the Amazon labrys. 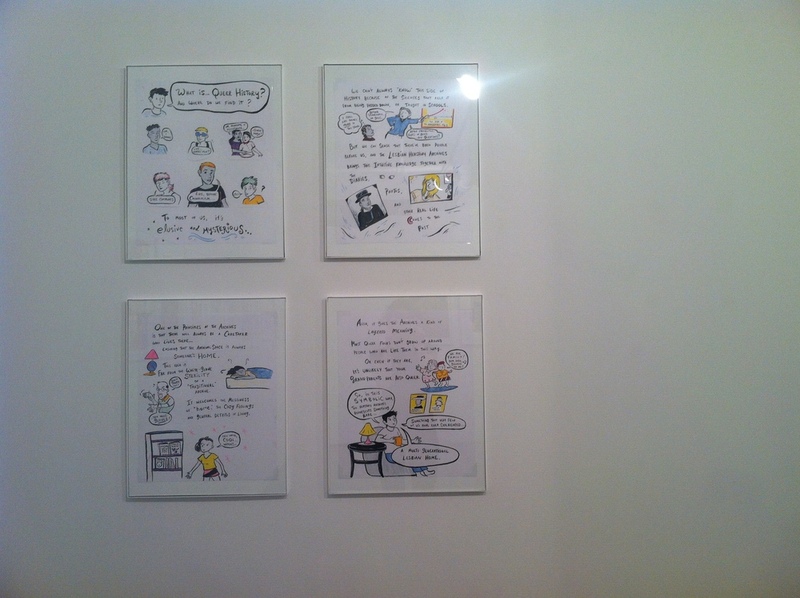 Zines by Shawn(ta) Smith Cruz and Sherley Olopherne detail the Archives collections by and about Black Lesbians decade by decade, while Elvis B’s drawings explore the idea of home, and how the Lesbian Herstory Archives, a radical archival space, manifests home for its communities. With their arresting visuals, this exhibit calls for recognition of lives and issues that have historically been ignored. From Tee Corinne's solarized photograph of two lesbians embracing to an image of the world, overlaid with "The Future is Female," they politicize the lesbian sphere of intimacy and record a half century of creative and activist response to a frequently violent and homophobic world. 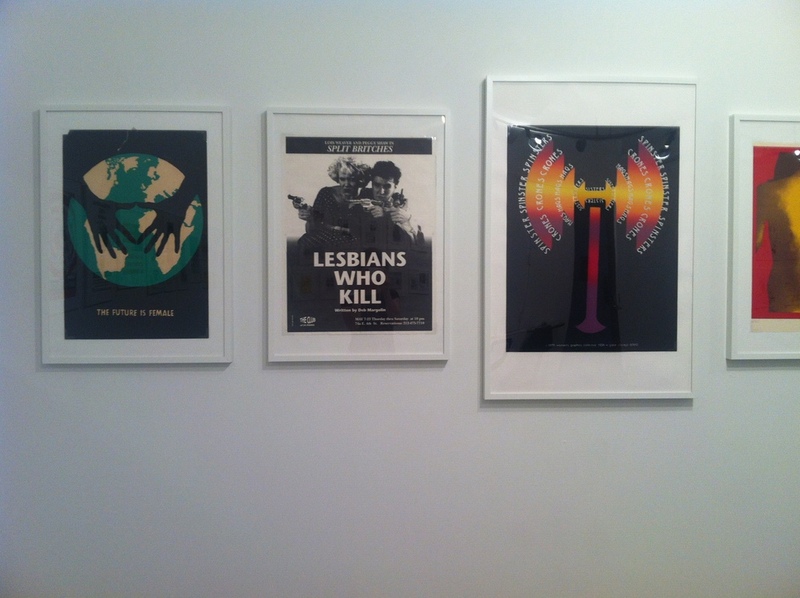 Each work represents a unique effort by lesbians to represent their politics and love both within their communities and in the public sphere.